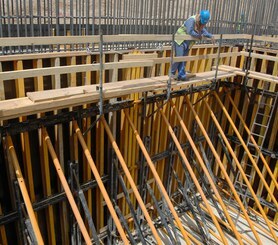 The Jebel Ali Sewage Pumping Station in Dubai has an area of 300 m2, with walls between 2.2 m and 7.3 m high and 25 cm thick slabs. 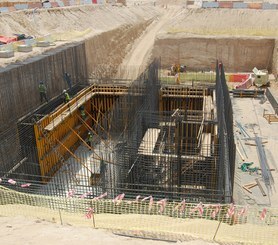 The walls were built with ENKOFORM V-100 vertical formwork system. UCAB frames withstood the concrete pressure in the construction of single-sided walls. Slabs were built with ENKOFLEX horizontal formwork system shored on T-60. Formwork works lasted 5 months.